If my tester this week had a theme song it might be the Luke Bryan song “Kick the Dust Up”. Why you ask? First, Luke is my daughter’s favorite singer, and my tester this week, the 2015 Jeep Wrangler, happens to be her dream vehicle (even though she’s three years away from being legal to drive). Regardless, I can just see her blaring Luke on the radio, and cruising around in the Wrangler. In fact, that’s what she and I did, and we enjoyed ourselves immensely. The country, rugged, open road feel of the Jeep Wrangler is a significant part of the charm of this icon. It’s meant to go off the road, maybe through a cornfield and definitely somewhere you can kick the dust up. In fact, a Wrangler isn’t really a Wrangler without some mud on the tires. Now, I generally don’t take any of my testers off the road, even the capable ones like the Wrangler. However, at a recent event in Wisconsin, I did drive the Wrangler on an off-road course. Needless to say, it was awesome and needless to say, the Wrangler performed as good as the Land Rovers that were also on the course! That’s where the Wrangler is best suited, as a mudder. Off the beaten path. Kicking the dust up. 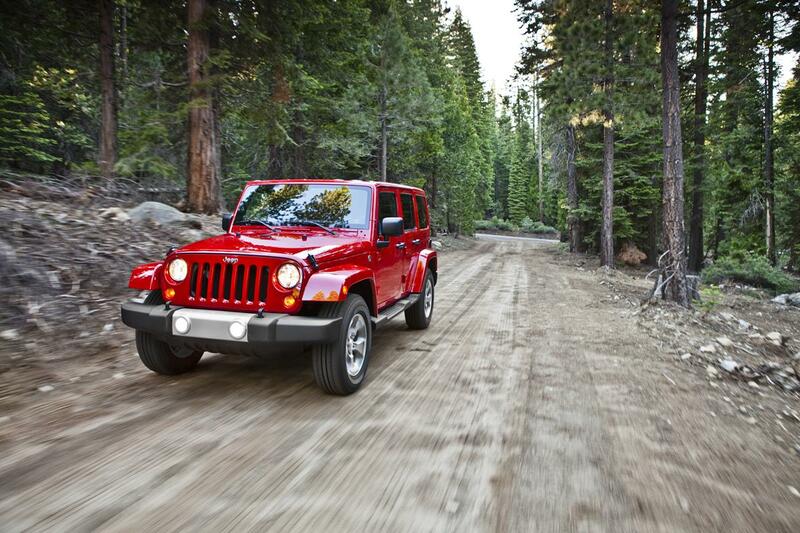 Over the road, the Wrangler is exposed with poor handling and a loud cabin. My tester was the Wrangler Unlimited Sahara with hard top. 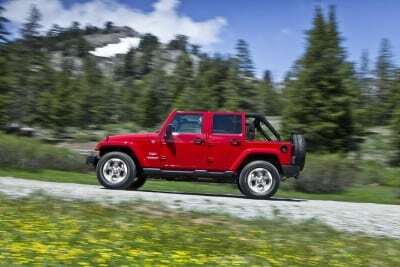 Most Jeep fans like the hard tops much better as putting on the soft tops can be quite cumbersome. However, I’ll say that trying to remove the doors and the back panel was beyond cumbersome (even with the new Torx tool that Jeep provides added to this model year). Taking off and putting on the doors and back panels is certainly more than a one-person job. That poses a problem when you want to cruise in your Jeep, but live in a fickle weather environment. For this reason, it was disappointing to not be able to truly experience Jeep Life in this Wrangler, and I really only took the top off, which is essentially a glorified sunroof, and nothing more. I’d love to see Jeep continue to master true portability and easy on/easy off techniques for the Wrangler. The looks of the Wrangler are still classic. The Wrangler has gone through very subtle changes through the years, which is why it’s an icon. You don’t mess with the looks of something so recognizable (did you hear that Kenny Rogers?). 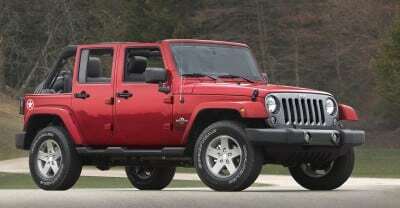 My tester was the Firecracker Red version of the four door Sahara with 18-inch wheels. 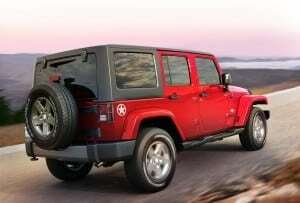 It screamed rugged and was a bold-looking Jeep. I’m not sure what it is about the Wrangler’s look that makes it so conducive to bold colors and styling, but I’ve never been disappointed with the aesthetics of a Wrangler (and I’ve had some bold Jeeps through the years). 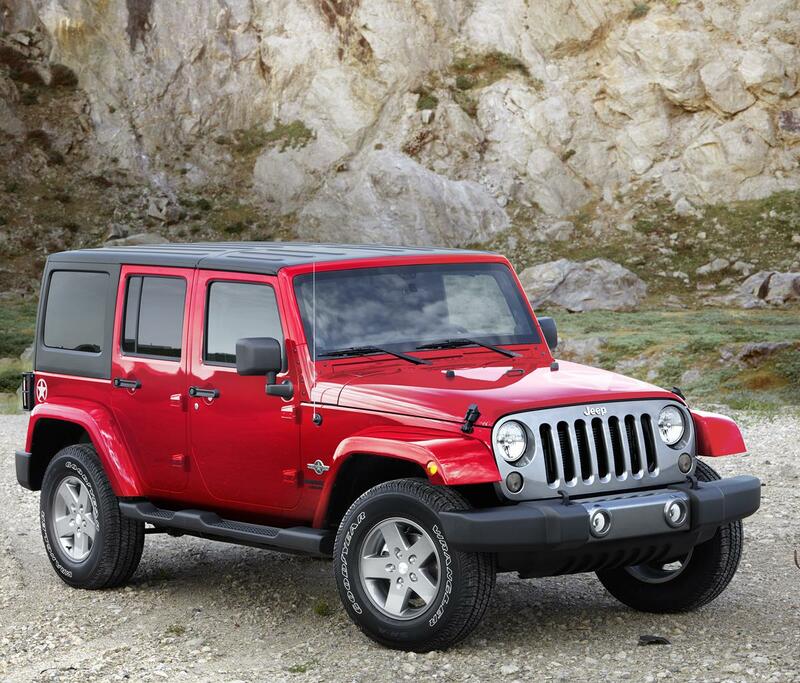 A 3.6-liter V6 engine powers the Wrangler and produces 285 horsepower and 260 lb./ft. of torque. 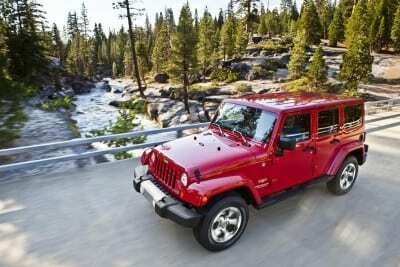 With four-wheel drive standard the Wrangler has either a six-speed manual transmission or an optional five-speed automatic transmission. My tester was the automatic which was quite pedestrian. 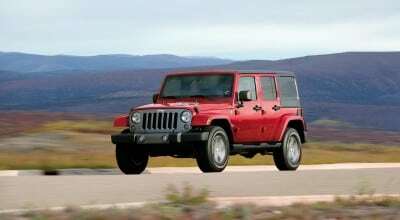 Over the road, the shifts were slow and this is really an area that Jeep needs to improve for the Wrangler. With hill assist and low-range gearing, the Wrangler does excel like no other off road. I traversed a rocky hillside with ease, but that same show off ability on dirt is the opposite on asphalt. There’s little excitement for the Wrangler’s over-the-road performance. It’s not a good daily driver. Don’t tell my daughter, but that’s why I won’t recommend the Wrangler be her first vehicle (sorry it’s just not practical). 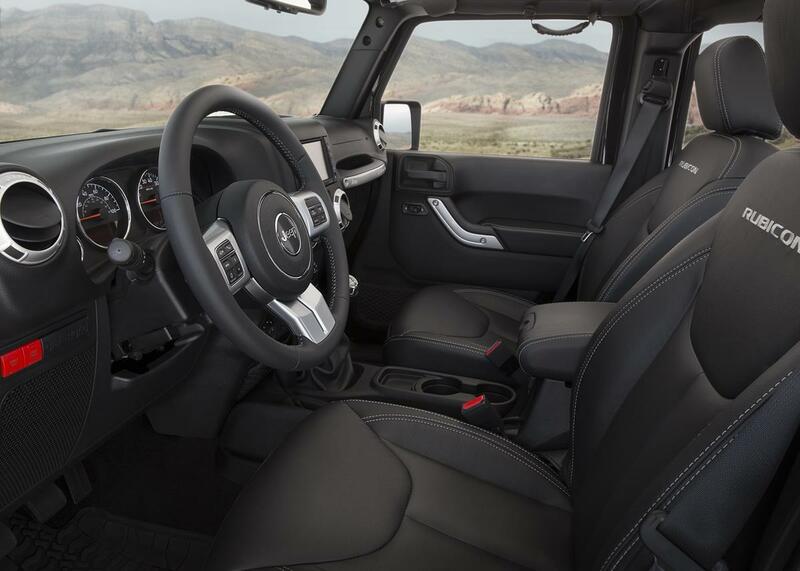 Inside, improvements and upgrades have been made to the Wrangler. It’s still sparsely appointed, but it has just enough modern touches to show improvement from the previous model year. My tester even had leather seats which were comfortable and not the hard upholstered ones I’ve had in the past. All-weather splash mats show the Wrangler’s true intentions. The infotainment system was significantly better than in the past. The 8.4-inch touchscreen was a modern and nice touch, and something I’m not used to seeing in a Wrangler. Could you still control everything with Chrysler’s UConnect system with a little mud on the touchscreen? 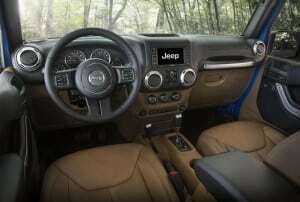 This model year, Jeep adds an eighth speaker to the sound system, which is noticeable, and necessary to drown out the road and engine noise that permeates the cabin (even with the hard tops up). The Wrangler is not a vehicle known for excellent fuel economy (another reason I won’t recommend to my teenager). My tester had an EPA rating of 16 mpg/city and 20 mpg/hwy. In a week’s worth of driving, I averaged 18 mpg. 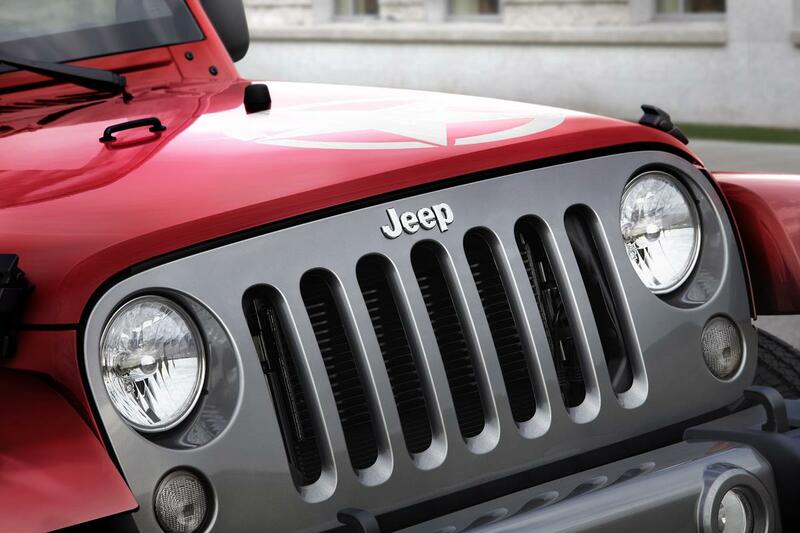 The Wrangler is one of the most customizable vehicles out there. There’s plenty of aftermarket websites dedicated to customizing a Jeep. The Wrangler itself has plenty of options for the consumers between two and four door options, and then three trims and then five different “special edition” offerings. In short, the consumer can make the Wrangler almost anything they want it to be, although I don’t think there’s a Luke Bryan edition yet. My tester was the Wrangler Unlimited Sahara. The base price of this trim was $32,395. With extra options and packages, my tester had a final MSRP of $43,425. 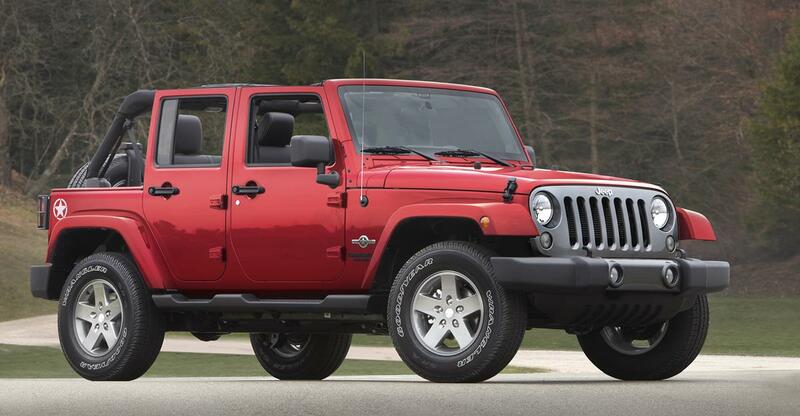 The iconic Jeep Wrangler hasn’t changed much through the years. Nor has it become more versatile. It’s a beast off the road and quite unspectacular on the road. Comparing it to something like the Subaru Outback, which is almost as comfortable off the road, and the Outback is far better as a daily driver. But the Subie is also not nearly as cool as the Wrangler either! 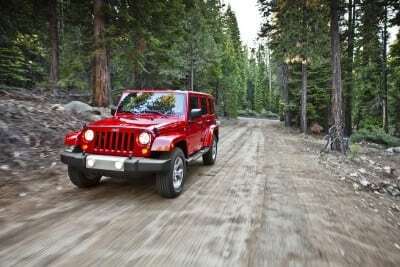 So, get behind the wheel of the Wrangler and be ready to have fun off the road and don’t be afraid to kick the dust up!